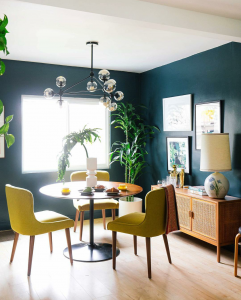 Welcome to the dark side: Decorating with dark toned colors! Black or any other dark tone color would not be my first choice when painting any house but I am slowly having an affinity to dark interiors. This is simply because I had no idea how to accessorize a dark room and to be honest, I always found them dull. I am sure this is a common dilemma among many. It’s easier to settle for the neutral colors when in doubt; I would and I have done so in the past. However, we are now beginning to push our color choices for our homes. Another thing people don’t know is that, in terms of interior styles, you can pair anything with a dark pallet. Either Scandinavian, Mid Century Modern, Contemporary, Industrial or even Coastal; anything goes. • Dark walls heat up quickly in the sun. 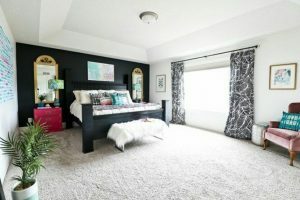 • Can make a room feel like a cave – but don’t be afraid of this, I PROMISE! • Contrary to the belief that dark tone colors make a space appear small, size doesn’t matter. Dark tone colors give an illusion of an expansive room. • Dark interiors look better and cooler in photographs. True story; try it! • They serve you with DRAMA!! • Dark walls hide imperfections. • Blends easily with colorful accents like a painted chair or a bright colored throw pillow. 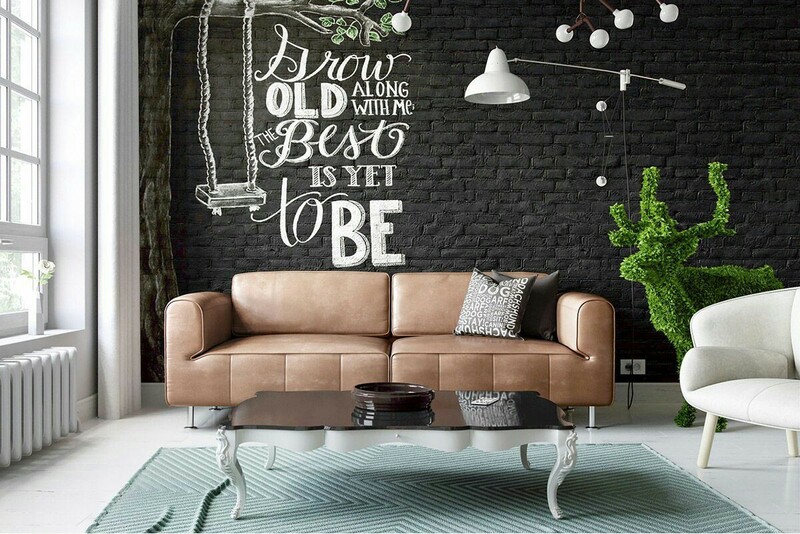 If you are still not sold to the idea of painting all your walls dark, then start small. 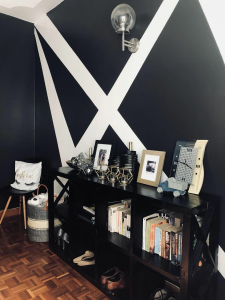 Try having an accent wall that is dark. That way, you have a half neutral and half dark room as a start as you ease your way to the dark side. Alternatively, you can paint the exterior dark for starters. Natural light, plants and space are amazing against a dark background. Check out these rooms to see how easy it is to make dark tone colors work. 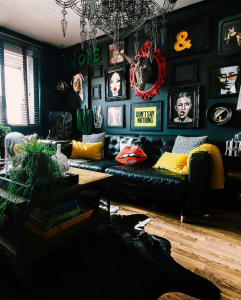 This is your ultimate guide to dark, dreamy and daring interiors that can easily be achieved just with a can of dark tone paint and the right accessories. 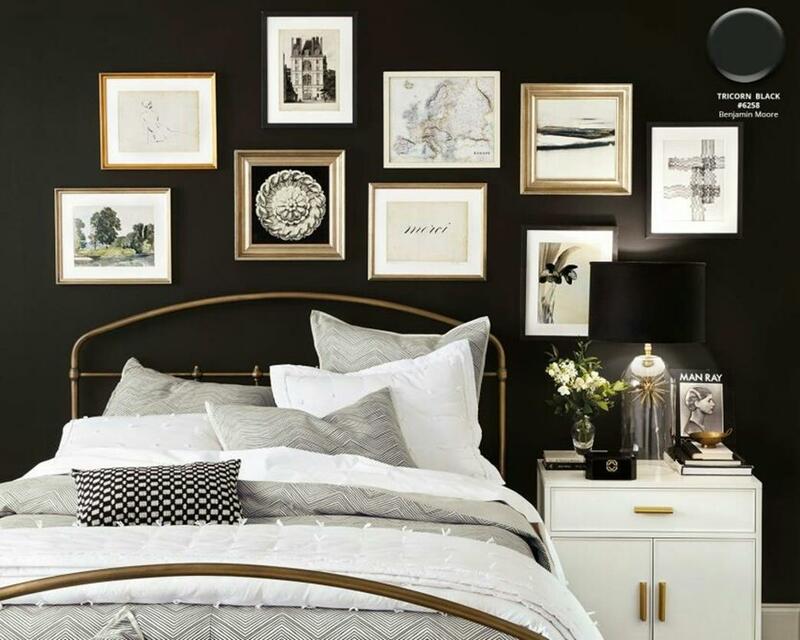 The black, white, gold and earthy theme makes the room very vibrant. This is a perfect example of how to utilize accessories in a dark toned room. This room isn’t even dark at all, right? 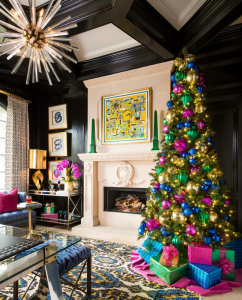 I love how she has incorporated bright colors in the room. There is an airy feeling to it as well. 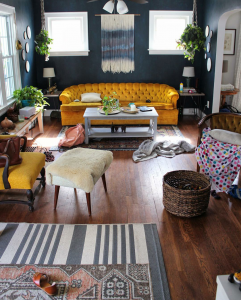 This is such a swoon worthy space. Black really goes well with any color; more so pink. When you don’t need much color to brighten up the space, a window does the trick. This is definitely not my cup of tea BUT I do love how bold the room is. This took some serious guts to pull this off and it’s absolutely gorg! When all else fails, throw in a yellow couch. Black and gold for the win. I’ll let you dwell on that while you figure out your next paint project. As always, let me know what you think with a comment or two below. 9 ways to make your brown sofa stand out. How to pick the right dining table like a Pro! 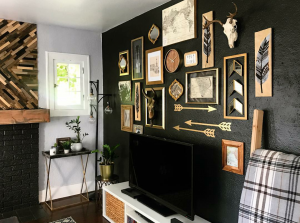 Make your gallery wall pop! 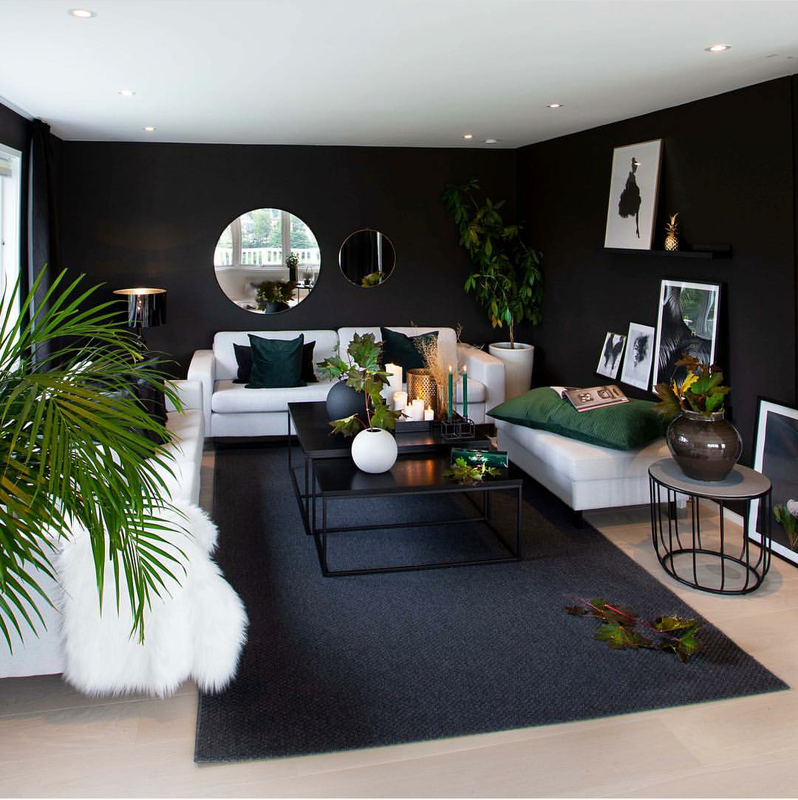 Loving the dark colour ideas ,can’t wait to try it out in my livingroom.good job,dear. I’m glad you love the ideas. Please share pics of your living room once you transform it. LOVE this and totally agree! As a design nerd I just love how dark colour can warm up a room. It’s all about balance! It is indeed. Balance and harmony. 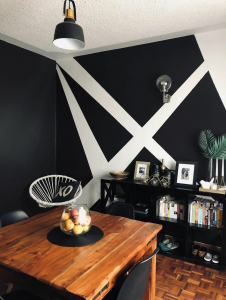 I totally discouraged someone who wanted to paint their dining room black….didn’t know it could look this great especially when mixed with gold….thanks for the article, now I know. Ehehehe if you know you know. Encourage them! Oooh please try it and share the before and after pics. Don’t be afraid of going dark.